These flowers will be beautiful forever! 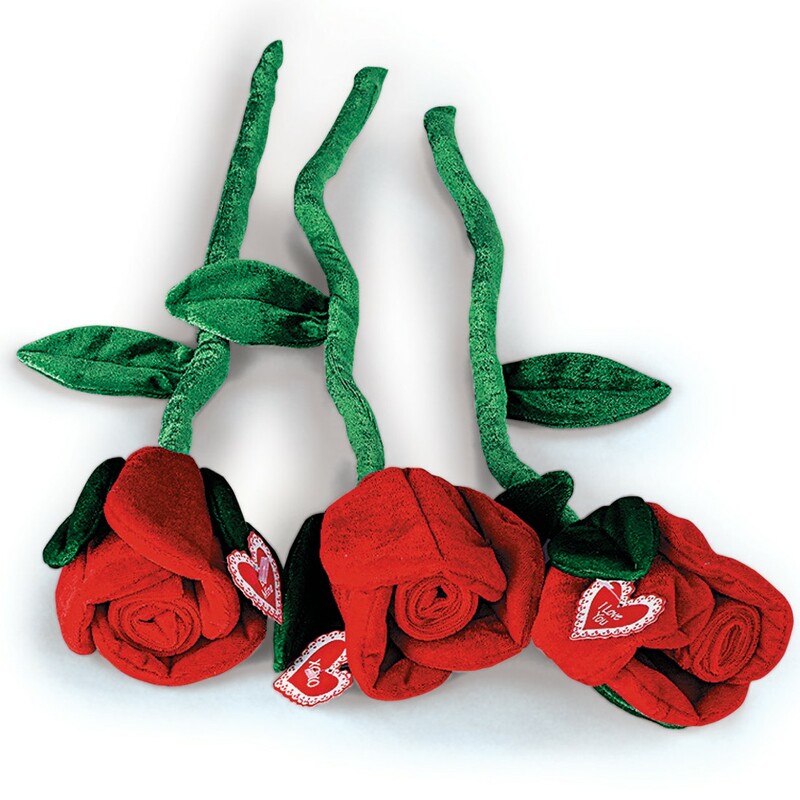 Give a plush, bendable red rose to someone you adore, add them to a take home bag, or use them to decorate your office in a fun way this Valentine's Day! Each rose includes a gift tag.